For a country of its size, Kenya sure packs a lot in: mountains and deserts, colorful tribal culture, beaches and coral reefs, and some of Africa’s best wildlife attractions. In fact, to say Kenya is Africa in microcosm would not be stretching the point. There are a million different reasons to come here, and picking just one is nigh impossible. Stunning landscapes set the scene, from Kakamega’s rain forests to Indian Ocean beaches by way of Mt Kenya National Park; the rolling grasslands of the Masai Mara to searing deserts on the shores of the Jade Sea; with The Rift Valley, home to Hell’s Gate National Park, cleaving a massive gash through it all. 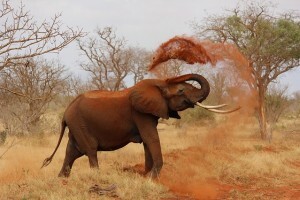 Wildlife safaris have been the mainstay of Kenya’s tourism for decades, and several Kenyan parks, like Tsavo National Park, are among the best places in Africa to see lions, elephants, leopards and the famous wildebeest migration. Kenya rates as one of the top five bird-watching destinations in the world; other activities for outdoor enthusiasts include trekking the glacial ridges of Mt Kenya, ballooning over the Masai Mara, snorkeling at the Marine National Park in Malindi on the Indian Ocean coast, and much more besides. Kenya’s biggest city, Nairobi, with the baddest of reputations, is sidestepped by many visitors, but, in fairness, has an interesting urban appeal with its cafes and nightlife. Nairobi has the best restaurants in Kenya, and meat eaters will not want to miss the chance to visit Kenya’s most famous restaurant, Carnivore. Here, meats of all kinds are speared and roasted over a fire pit, which is a native Maasai practice. Besides the Kenyan safaris, the Kenyan beaches are likely the top Kenyan attractions. When it’s cold up in the northern hemisphere, it’s certainly warm along the Kenyan coast. 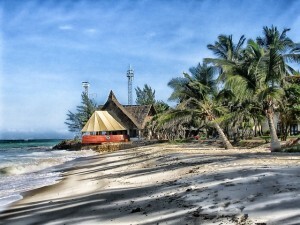 In fact, it’s always warm along the Kenyan coast, which makes it such a great beach destination, really. Throw in the fact that rich blue water and soft white sand awaits you, and you have a recipe for success. The Kenyan beach resorts are easily some of the best accommodations in the country, and there are even coral reefs found offshore that make the experience all the more dazzling. Mombasa, Lamu, and Malindi are the top beach destinations in Kenya, but all up and down the coastline, the experience is utterly satisfying. Found near the Great Rift Valley city of Nakuru, Lake Nakuru is the site for one of the best birdwatching experiences in all the world. Thousands, sometimes even millions, of pink flamingos flock to Lake Nakuru to feed on the algae-rich alkaline lake, giving it the appearance of being pink. To compliment an already excellent experience, the Lake Nakuru National Park is also home to plenty of other interesting animal species, which helps to make it one of the top Kenyan attractions. Black rhinos, lions, leopards, waterbucks, and plenty more species of birds are just some of the creatures you’ll see at Lake Nakuru National Park. Mount Kilimanjaro is Africa’s tallest mountain at 19,340 feet, and though it is found across the border in neighboring Tanzania, it is still included on many visitors’ lists of Kenya things to do. Mount Kenya, which rises to an elevation of 17,058 feet, is the second tallest mountain in Africa, and it’s craggy, snowcapped upper reaches are really quite picturesque. Mount Kilimanjaro, though higher, is actually an easier climb than Mount Kenya. The views from atop both are absolutely amazing, and since you need to summit slowly to avoid altitude sickness, you’ll have a chance to marvel at how the climatic zones change as you ascend. Both peaks are relatively easy to summit, so you might try both! The African safaris may well be the continent’s biggest tourist attractions, and for all intents and purposes, this is largely due to the fact that most visitors can not find a like experience back home. We’ve all, at least most of us, been to a zoo before, and it’s surely a treat to view animals like elephants and lions at zoos, but there is nothing that quite compares to seeing them in the wild. African safari tours are so varied and abundant that you could ideally spend weeks at a time in this part of the world and still be left with so much more to discover. Some tourists in Africa might only have time or funds for a single day safari tour, while others might arrange multi-day safari tours that can be quite extensive. Both are great. African safari holidays can be enjoyed year round, but generally, it’s best to go between May and August, when it is drier, and in September and October, which are warm, spring-like months. 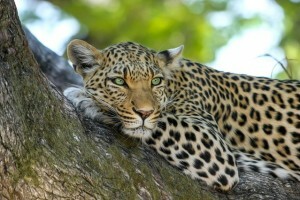 Regardless of when you take your African safari vacation, you are simply promised a rewarding experience. Interestingly enough, just a short drive from downtown Nairobi can have you in the Nairobi National Park. One of Kenya’s top national parks, the Nairobi National Park is home to a range of animals, and except for elephants, visitors can expect to spot creatures from the renowned “Big Five”, among many others. The chance to spot a rhinoceros is alone enough of a reason to justify a visit to this great Nairobi safari park. There are also hundreds of species of birds here, so bring your binoculars! No trip to Nairobi would seem complete without a visit to the Nairobi National Park, and it’s certainly an ideal compliment to other Kenya wildlife destinations. Even if you aren’t a huge fan of shopping, perusing the goods in Kenya can often be more enjoyable than you may have thought, and after all, you’ll need at least one dazzling souvenir to remind you of your trip. There are neat shops and markets in Nairobi and Mombasa, and you can find markets and unique wares all over the country, really. Kenya grows exceptional coffee, so you’ll want to grab a bag of your favorite blend, and the woodcarvers in Lamu will impress even the most choosy shoppers. Jewelry, clothing, and musical instruments are just some of the other things you can consider when shopping in Kenya. Chances are good that even if you don’t have Kenya shopping on your list of Kenya things to do, you will end up engaging in it regardless. Plus, how many chances do you get to bargain back home? The main tourist season is in January and February, when the weather is hottest and driest. At this time, the animals in the wildlife parks tend to congregate more around the watercourses, making them easier to spot. However, the parks can get crowded and rates for accommodation soar – also make sure you avoid Christmas and Easter unless you want to pay much higher prices. From June to October, the annual wildebeest migration takes place, with thousands of animals streaming into the Masai Mara National Reserve from the Serengeti. During the long rains (the low season, spanning from March to the end of May) things are much quieter. Wildlife is harder to spot and mosquitoes are rife, a combination that keeps most tourists away. The consistently humid coast region has rainfall averages from 20mm in February to around 300mm in May. Rainfall is dependent on the monsoon, which blows from the northeast from October to April and from the southwest for the rest of the year. The average annual rainfall is between 1000mm and 1250mm (less in drought years). Average temperatures vary little during the year, ranging from 22°C to 30°C.